Available Cats | Lulus Locker Rescue Lulu's Locker Rescue | Adopt an Animal Today! Simon was found as a stray in the south side of Chicago. We could tell right away that this guy was not meant to be on the street. He sat so quietly in his cage just waiting for someone to pay attention to him. Simon resides in our Frankfort Cat Adoption Center. He is majestic, and large with long silky fur. Simon is an observer. He likes to perch on a cat tree and watch the action. He gets along fine with other cats. He has more of a live and let live attitude. Simon is fine being around cats, but doesnât rely solely on them for companionship. He likes to be around his humans, and prefers to sit right next to his human companion. He likes attention, but is not overly needy at all. 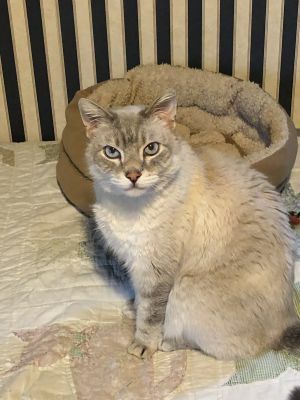 With him being outside, we werenât surprised when he came up FIV+, but we all know that is not an issue now that more adopters have educated themselves on FIV. If you would like to know more, go to our Website at LulusLockerRescue.org. HISTORY: Fabio was found as a stray. He had a microchip but his previous owner was unable to be contacted. ABOUT: Fabio has two major needs in life: Snuggles and Snacks. 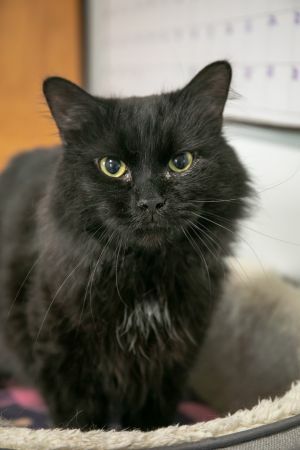 If youâre looking for an aloof or independent cat Fabio is not the guy for you. Fabio lives for attention and loves to be held. He puts the companion in companion animal. Fabio is also very treat motivated so his foster home has started clicker training with him and said he is very responsive. We would love to find him a home that would continue this enrichment activity that he excels at. Fabio will probably do best in a more calm home. He will never be the star of a sports team, but he will on occasion bat a toy around for a few minutes. You can leave your laser pointer in the drawer, he isnât falling for it. Heâs more of a netflix and chill vs a jane fonda workout video kind of guy. 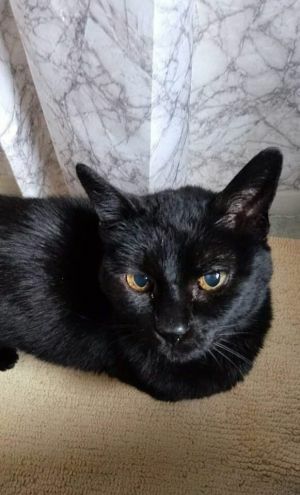 Fabio is a more alpha-male cat and he would do best with calm female feline companions, but would also be a great option for someone who only wants one cat. Adopt Fabio and you will have a shadow and bestie for life. 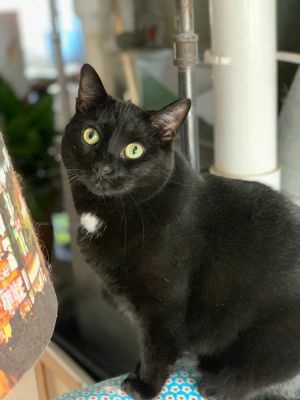 Ursula is an athletic, curious girl, who is happy to snuggle with me or with other cats, but is also content to sit on her cat tree perch and observe. Â She's very petite, but doesn't get pushed around. Jerry and his brother Ben were adopted out from a partner rescue as kittens. When their owner had to enter an assisted living facility we welcomed them into our program. Jerry and his brother Ben are two handsome, calm, large boys. They have lived every minute of their lives together so we will require that they be adopted together. They are both on the shy side and they rely on each other when they are nervous. Jerry is the more outgoing brother and is the first to be brave enough to appreciate your attention. Like his brother Ben, Jerry is full of purrs and headbutts once he gets to know you. Jerry might be scared at first, but he slowly can be won over with some head scratches and might even take a step towards you for more. One of their feline foster siblings isnât always appreciative of their presence so the boys are separated from the resident cats. Their foster mom spends a lot of time with them and sleeps in their room a few evenings each week. On those nights both boys jump up onto the bed to sleep with her. They also greet her at the door with meows and head butts, especially at feeding time. While one of the resident cats doesnât appreciate them, the boys are very friendly towards her the few times they have met. The second resident cat loves to go for âvisitsâ to Ben and Jerryâs room and they will all lay together and groom each other. If Jerry gets scared he chooses to run and hide and never lashes out or gets angry. Ben and Jerry previously lived with a senior dog, and would likely adapt well to a calm dog. Jerry and Benâs foster mom said they will make great companions for anyone lucky enough to adopt them! Ben and his brother Jerry were adopted out from a partner rescue as kittens. When their owner had to enter an assisted living facility we welcomed them into our program. Ben and his brother Jerry are two handsome, calm, large boys. They have lived every minute of their lives together so we will require that they be adopted together. They are both on the shy side and they rely on each other when they are nervous. Ben is the more shy brother and takes a little bit longer to come around, but he watches his brother Jerry and eventually does decide to be brave and come out to meet you. Once he gets to know you he is full of purrs and appreciation when you pet him, but he will need patience as he gets comfortable. One of their feline foster siblings isnât always appreciative of their presence so the boys are separated from the resident cats. Their foster mom spends a lot of time with them and sleeps in their room a few evenings each week. On those nights both boys jump up onto the bed to sleep with her. They also greet her at the door with meows and head butts, especially at feeding time. While one of the resident cats doesnât appreciate them, the boys are very friendly towards her the few times they have met. The second resident cat loves to go for âvisitsâ to Ben and Jerryâs room and they will all lay together and groom each other. Ben is incredibly sweet and never lashes out when he is scared or overwhelmed, he always chooses to run and hide. Ben is incredibly sweet and never lashes out when he is scared or overwhelmed, he always chooses to run and hide. Ben and Jerry previously lived with a senior dog, and would likely adapt well to a calm dog. Ben and Jerryâs foster mom said they will make great companions for anyone lucky enough to adopt them! HISTORY:Buttons was part of an outdoor colony, but was soon found to be friendly so his caretaker didnât want to leave him outside. 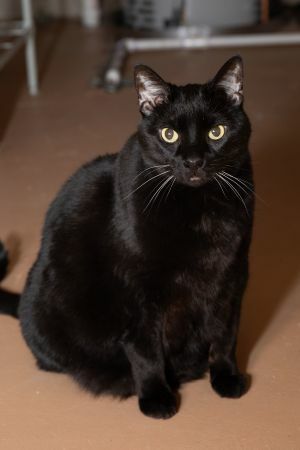 ABOUT:Buttons is your typical big, friendly FIV+ boy. His life on the streets sure hasnât effected his disposition. He is very gentle. When you first meet him, he may hide a bit until he knows you are a friend. After that he is very affectionate and will rub up against your legs. Buttons does well with the other cats in the adoption center, but prefers the more easy going cats. He especially likes the friendly female cats. He is not a picky eater, and has good litter box habits. Heâs greased lightening! 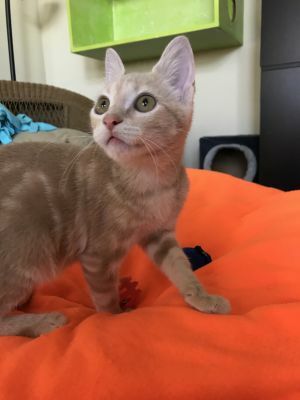 Byron is one of the most active and playful kittens around. His zoomies are epic. Byron would do well with a very active household. He would probably not do well with senior pets, but would do great with another active cat/kitten. Byron is the kitten who purrs at every interaction like being held, playing with his wand toy, and food time. Byron is a terrific eater, and uses his litterbox like a champ. Buttercup was surrendered with her kitten to an open admission shelter. Buttercup is an empty-nester! Buttercup took very good care of her kitten who has found a home, and now it is time for Buttercup to concentrate on finding herself a home. 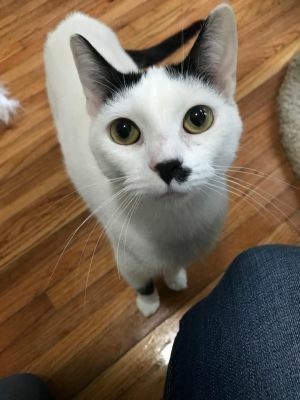 She is currently at our adoption center. She gives out a small hiss to the other cats to ask for her space to be respected. Sheâs a curious girl who loves to rub up against all visitorsâ legs to mark them as hers. Come down and meet her, you will fall in love! Our adoption center has open hours from 12-3 each Sunday. We are also available by appointment for approved applicants. HISTORY: Tuula came from a south side animal control facility. ABOUT: Tuula is a playful, constantly on-the-go kitten. Sheâs the kind of gal who will tolerate being held for a bit, but then gets squirmy because there is fun to be had and exploring to do. She will play with anything and everything but particularly likes wand toys. Tuula is being fostered with multiple dogs, the largest being 40 lbs, and is completely comfortable and confident with them, and does great with the resident cats. Tuula is an adaptable, active, outgoing kitten who will do great in a variety of different home settings. HISTORY: Milena came from a suburban animal control with her littermates. ABOUT: Milena is the âobserverâ of her litter. She loves to come and watch the action when her littermates are getting into trouble, but generally doesnât join in. Sheâs the teacherâs pet of the bunch, since she rarely gets herself into mischief. She loves to cuddle with the other cats in her foster home. While she is the calmest of her litter, she is still a kitten and does have a bit of a playful side. 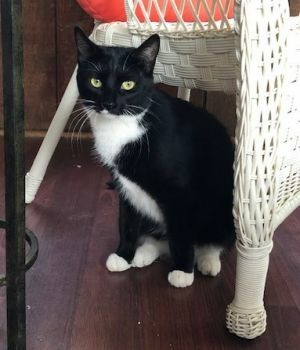 Rookie is a little timid but is warming up to people and other cats and dogs. He was found mewing in the corner of a garage; itâs a mystery how he got there. Another mystery is what happened to his back left leg. He does not use it much, but he gets around fine. The vet says thereâs no need to do anything about his bum leg since he can walk, run, and jump, and he is not in pain. He does not play with toys much but loves to run around and explore and look outside. Most of all, he loves to eat. He will also sit in your lap to be petted and will purr up a storm. HISTORY: Schipp was found running around the parking lot at CACC during a CRISP Shift: www.crispchicago.org. Schipp is a big boy with a striking coat. He loves attention from his people, and loves a good play session. 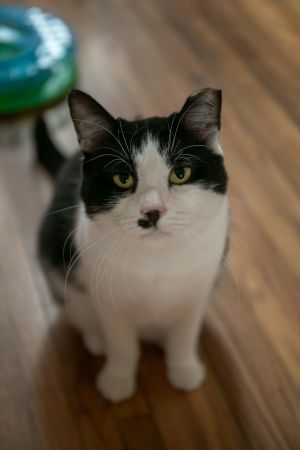 Schipp is currently in foster care with a low-key, confident female cat. Schipp will try to be the alpha cat so would need a cat that can let him know where the pecking order stands. He would also be just fine as any only cat. He loves to lay on his cat tree and just look out the window! He has great litter box habits, and is not a picky eater at all! Rogue was found with her two 4-6 month old kittens in an industrial area. Rogue was likely never completely socialized, so she has some quirks about her. Rogue is currently being fostered with two senior female cats and she gets along with them famously. She also was very good with her own kittens before they were adopted out. She is being fostered in a home with a dog, but hasnât completely been introduced to her. We believe she would adapt to a cat-savvy dog. Rogue gets very stressed out with excessive handling. She is not comfortable being picked up and it can very very difficult to get her into her carrier. She does love less intrusive handling and will let you scratch and pet her head indefinitely. 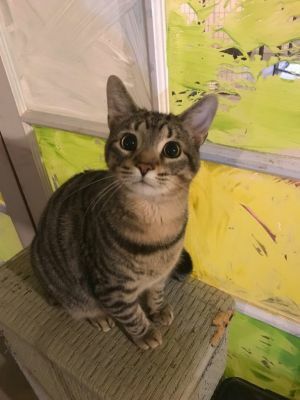 She has a bit of a playful side and likes to hide in the dark and pounce on her foster momâs feet at feeding time in the morning. She also likes to play with toys especially mice that jingle and balls. She also likes to play with wand toys but will randomly act afraid of them. She only ever scratches on her cardboard scratching pad. Sheâs quite the talker and will let her foster mom know that her food bowl is still empty every 3 seconds until itâs ready. She will also mention if her water bowl needs to be filled. Rogue will need to be adopted by an experienced cat owner. She will need time to trust her new home, but she has done really well in her foster home. She will always have some quirks related to her lack of socialization. She can be a bit unpredictable so she should not go to homes with children. Something that she would tolerate yesterday she might not tolerate today. Things that did not stress her out yesterday, might stress her out today. She would make a fabulous companion for another cat(s). One day Rogue figured out how to open the door to her âsuite.â She went right to the kitchen to demand to be fed. Her foster mom didnât even notice it was her until she looked down. She didnât bother looking around or meeting any of other animals, she just went straight to the food. Her foster mom says she can be chatty and opinionated and you might even say bossy, but also scared and shy. Rogue also has a bit of a silly and playful side. 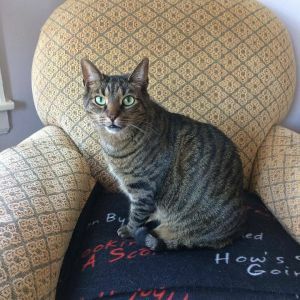 HISTORY: Sissy was rescued from animal control as a pregnant senior. She raised 5 kittens of her own plus an orphaned kitten. Sissy is a sweet, independent senior looking for her forever home. 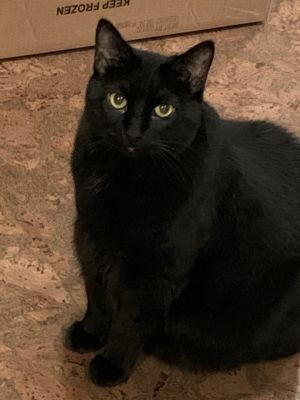 Sissy spends most of her time in the basement of her foster home, but will come running when called or if she hears her foster dad open the garage door when he gets home from work. Sissy found a button on the floor one day so her foster mom put it on a string to play with her and she loved it. Sissy will play with you nonstop if you have that button on a string! Sissy seems to appreciate routine and will come up and meow at her foster mom if sheâs late scooping her litter box. She then goes down with her foster mom while she scoops and Sissy purrs and rubs all over her ankles to say thank you. While Sissy lives in a home with cats and a dog, she would probably appreciate being an only pet. She might do ok with another animal as long as they have no interest in interacting with her. While she is an independent cat Sissy loves when you talk to her and starts purring if you even think about looking at her. Norman has been a part of Luluâs Crew for multiple years. Norman was a resident of our adoption center for almost a year. One of our regular foster homes offered to take him in because the constant in-and-out of strangers was getting stressful for him, it has also given us an opportunity to get to know him much better!